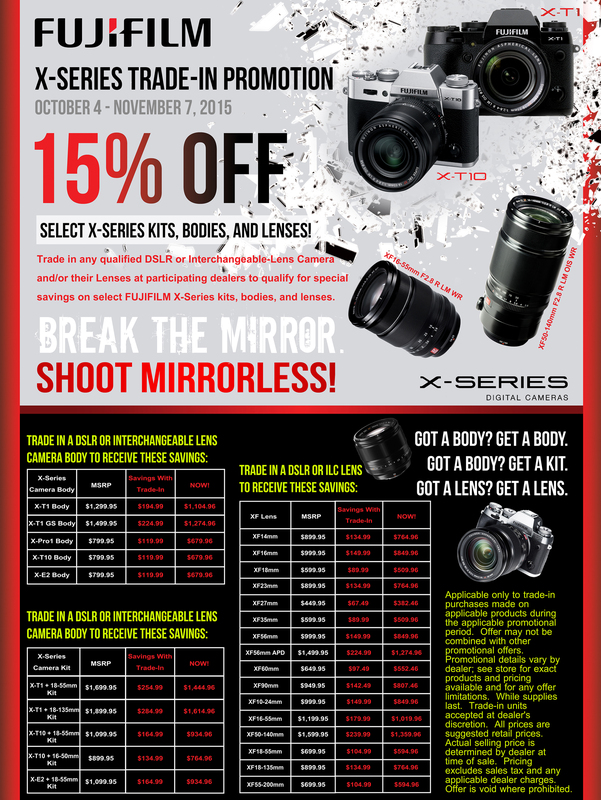 Fujifilm X-Series Trade-In Program Happening Now! 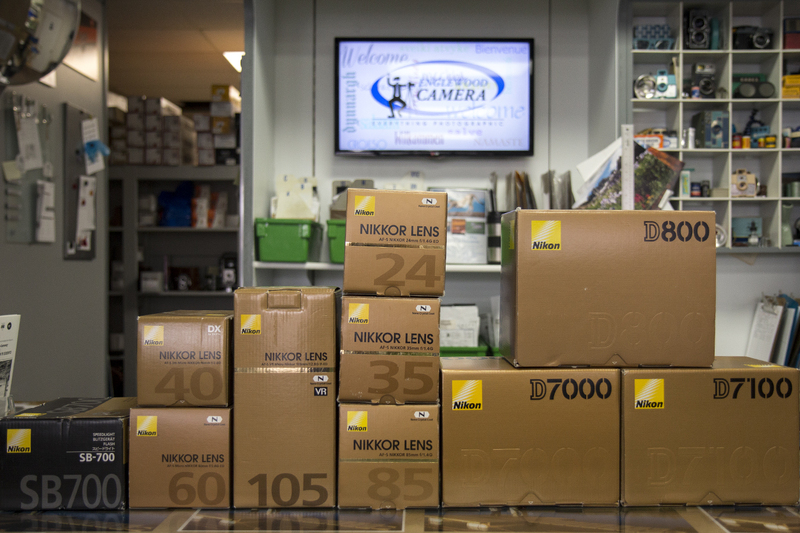 Looking for a mirrorless system to solve your imaging needs? Come to Englewood Camera with your old DSLR or interchangeable lens camera and save an extra 15% when you trade towards a new Fujifilm X-Series camera! This deal only lasts until November 7, so come on in and we’ll help you get settled in with a Fuji. 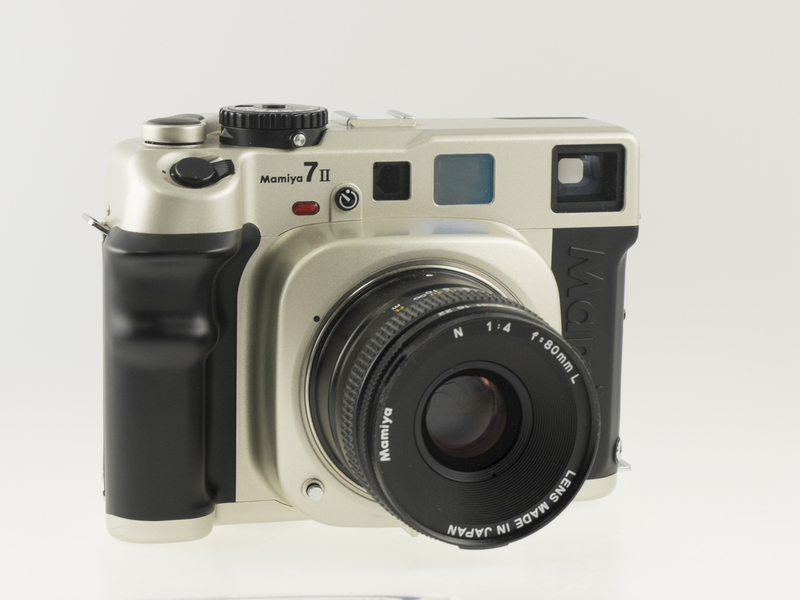 Posted on October 6, 2015 Author englewoodcameraCategories Digital Photography, Sales and Promotions, Used Camera EquipmentTags Camera trade-in program, Fuji X-Series, Fujifilm, Used CamerasLeave a comment on Fujifilm X-Series Trade-In Program Happening Now!